After dealing with race logistics yesterday, we stayed out of the frenzy for the most part today. We headed down to the waterfront area and visited the New England Aquarium. This seemed to be a common stop on the “must see” list with everyone we had talked to. It was raining all morning so an indoor activity seemed like a good call. We arrived and the line to get in was HUGE. We finally got into a tent that they have outside and did rope lines in that for an hour before we got in. We should have bought tickets online beforehand but we didn’t have a printer handy so bailed on the idea. Mistake. Anyway, the aquarium was OK but its no Monterey. I bet it was a big deal in its day though. 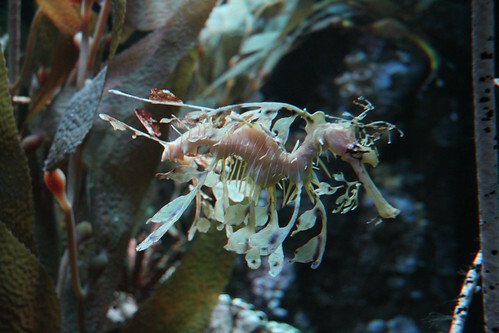 This is one of the freakiest sea horses I have ever seen. Literally, looked like a plant floating around the tank. After that we wound around the North End of Boston through tiny little streets. We saw the Old North Church, Paul Revere’s House, etc. Tons of tourists down there and nowhere to park. A quick glance out the window was enough for today. Parking garages are routinely $30+ for a few hours. I am going broke on parking alone. 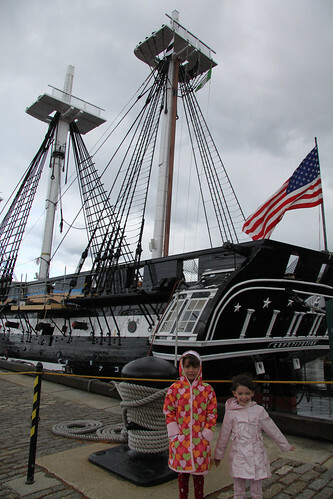 We noticed signs for the USS Constitution so we went over that way. We ran in just as it was closing for a quick look around. Its an old boat. Wouldn’t have wanted to fight a battle on that sucker. 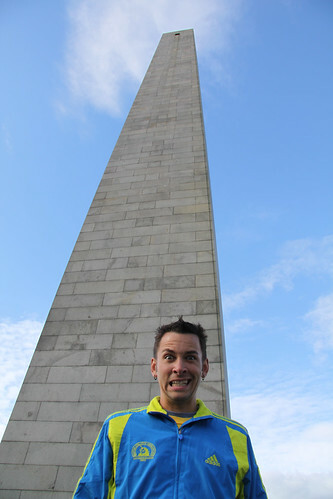 My Dad saw the Bunker Hill Monument to the north so we drove a few blocks over and saw that thing too. Its just a hill with an monument built on it. Oddly, enough this place is called Breed’s Hill. The battle, which was the first major one between the British and Patriots, was misnamed. 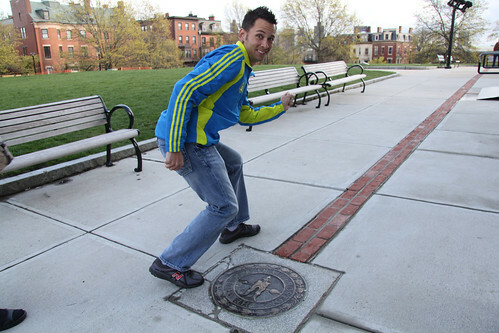 The Freedom Trail, which is a scenic walking trail of historical sites, begins here. Felt like something I should take a run on — some other day. We headed back to the hotel and now we are putting together last minute logistics. My Dad is driving me back downtown in the morning around 6 AM so I can ride the bus up to Hopkinton with all the other runners. I should get a chance to hang out in the Athlete’s Village for a while. Then Glenn has friends of friends who live on the road that we have to walk down from the village to the start, which is like 0.7 miles. 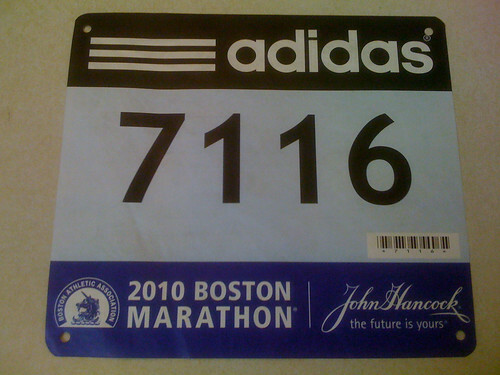 So I will stop there say hi and then head to my corral for the 10 AM start of the 114th Boston Marathon. So nothing left to do — except get there and run it. Still hoping for 3 hours but I will see how the day unfolds. If not tomorrow, next time.